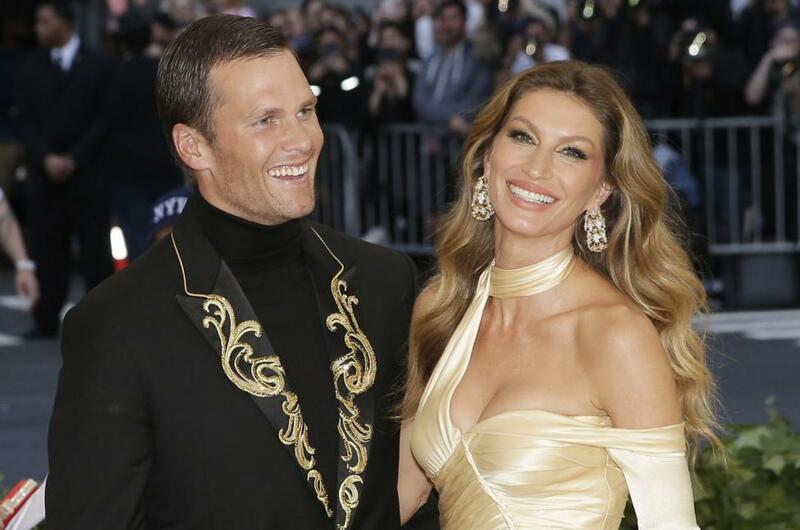 Gisele Bundchen is celebrating husband Tom Brady's 41st birthday. The 38-year-old model marked the occasion Friday by dedicating a sweet post to the New England Patriots quarterback on Instagram. [post_ads]Bundchen shared a photo of a cute moment with Brady at the beach. The couple married in February 2009, and are parents to 8-year-old son Benjamin and 5-year-old daughter Vivian. "Happy birthday my love! We love you so much!!! Keep on shining bright!" Bundchen captioned the picture. Brady had posted a kiss photo with Bundchen on the model's birthday in July. "Happy Birthday! What a great year it has been! We love you so much! Let me count the ways," the NFL star wrote. Bundchen said in an interview with Vogue in June that Brady's candlelit proposal was the most romantic thing he's done. "When he proposed to me, he made up this whole story about how my apartment was flooding and I ran over there to try to fix the situation," the model recalled. "When I got there, the whole apartment had candles and rose petals everywhere." "He went down on his knees to propose and I'm like, 'Get up!' because he just had surgery,'" she said. "He's like, 'I gotta go on my knees.' I'm like, 'No, no, no, get up, please!' And here we are."